Land Rover Cincinnati makes every attempt to have a loaner vehicle available for each of our service clients when scheduling an appointment that cannot be completed within 1 ½ hours from the start of the appointment. Land Rover Cincinnati cannot guarantee that the loaner vehicles provided will be an equivalent model of the vehicle being serviced. For full details and to schedule your service appointment, please call one of our service advisors at (513) 792-1800. 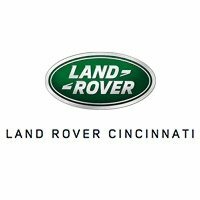 Land Rover Cincinnati will require the loaner vehicle to be returned within twelve business hours of notification that the vehicle being serviced is complete. If the vehicle is not returned within twelve business hours, the customer will be subjected to a $95/day late fee. The customer will not exceed 100 miles per day while using the loaner vehicle. The customer will refrain from smoking, eating, drinking or placing pets in the vehicle. Customers will be subject to charges for any damages to the vehicle. A valid driver’s license, proof of insurance and credit card must be presented to be eligible for a loaner vehicle. Parking tickets, traffic citations, towing expenses, and toll fees that accrue during the time the loaner vehicle is in use, will be at the customer’s expense. To ensure your vehicle and paperwork are ready upon arrival, please call the service department at (513) 792-1800 to notify of your expected arrival time. Please check with your insurance policy to determine you have the correct coverage for loaner/rental vehicles. Land Rover Cincinnati will not provide collision and/or liability insurance to the customer for the loaner vehicle. Please understand that our loaner vehicle program is a dealer program offered by, and at the expense of, Land Rover Cincinnati. Land Rover Cincinnati reserves the right to discontinue loaner vehicle privileges to those violating the policies and terms above. The Loaner Vehicle Policy is subject to change without notice.